I reviewed Flourish, Balance for Homeschool Moms by Mary Jo Tate, which is published by Apologia Educational Ministries. I agree with the old adage ‘never judge a book by its cover’, but that is exactly what I did with Flourish, Balance for Homeschool Moms by Mary Jo Tate. I thought that it was another one of those self-help, motivational books for homeschool moms that would take up my time in reading; time that I already don’t have to spare. I have yet to read a book published by Apologia Educational Ministries that I did not like and again, this was no exception. Flourish, Balance for Homeschool Moms is a self-help and very motivational book, but Mary Jo Tate has a story to tell and guidance to share that makes balance through the homeschool journey believable; and possible. Tate has been in the trenches and has managed to be successful with balancing motherhood, single parenting, homeschooling, housework, home-based self-employment and life. Homeschooling is a task, but to be able to coordinate all of the other areas and be successful is someone from which one may learn. After reading her bio where she shared her becoming a single parent of four boys (ages nine, six, four and six months) in 2001 after her husband left her for another woman and how she relied on God to guide her through her commitment to remain a stay-at-home, homeschooling mom, I felt a kinship with Tate and knew this was a book that I should read. The book targets homeschool mothers, but is appropriate for any mother who seeks balance in her life with all of the responsibilities we have or are expected of us. Despite her circumstances, Tate’s story can’t do anything other than motivate the reader to take head to her advice and learn through the personal stories she shares. Flourish, Balance for Homeschool Moms has 16 chapters (see table of contents) that cover a step-by-step plan for achieving balance. Tate has also created forms that are available in the appendix of the book, but may be easily downloaded in ready to use form to better assist you in achieving your goal. 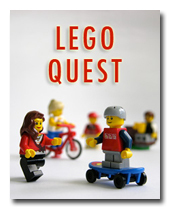 You may also read a sample from the book. Usually, when I read a book, I just want to read it and keep going. 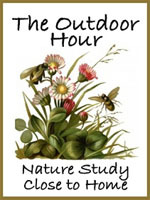 Flourish, Balance for Homeschool Moms is not a just read through book. At the end of each chapter, there is a Take Action! section with steps for which you are to take that will get you closer to balance. If you are a read through kind of girl, like me, then don’t let that scare you. The suggestions in this section are worth your time and if followed really do give you clarity as you move toward making life changes. In chapter four, Where Did My Time Go? (a question we all often wonder), Tate has the reader create a time log, so that question can be answered. She also suggest being more efficient with your time, considering the cost (saying yes here, may mean a no somewhere else); and not being overwhelmed by to-do lists. There were some chapters that I wanted to really read and skip over the proceeding, but every chapter is one to be read. There is a rhythm to her presentation, so you can see the proper steps to take and truly benefit from the information she shares. I often wonder about the type of memories my children will carry with them when they are older of our time spent together. That is something that I need to focus on more. I’m too tired to do what I need to do with them, because I’ve committed time to something else. This has been a huge challenge for me and the battle only grows each day. Tate states there are two (not three) basic categories for items; keep it or get rid of it. If I keep it (which is usually the case), then I need to have a designated place for it. If none, then I shouldn’t keep it. I wanted to directly jump to this chapter, but I minded the order in which she presented the material in each chapter and read through to that point without jumping ahead. So much of what Tate covers in the proceeding chapters is information that you will need before starting a home-based business. If you already have one, then creating balance in all of the other areas will only prepare you for success in your home-based business. By making specific goals, which is discussed in chapter five: Aim High: Setting Goals, I see great possibility for changes in the aforementioned areas. Seeing my goals on paper versus just ideas rambling around in my head; reevaluating whether or not the daily tasks I complete are ones that line up with my bigger goal (possible need to eliminate some tasks); and making goals for various areas in my life are some of the topics discussed in that chapter. The FREEDOM Toolbox, which Tate shares in chapter three: The FREEDOM Toolbox. FREEDOM stands for the following”: F- focus; R – reflect; E – educate; E – Eliminate; D – discipline; O – organize; and M – multitask. Apologies, but you will need to purchase (so worth it) the book for elaboration on these areas. The toolbox ideas are what readers are to use to gain the desired balance. 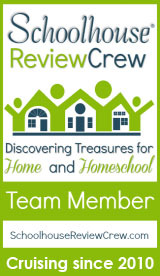 What really makes this book a gem is that it is specifically written to the homeschool mom by a mom who knows our lifestyle and the challenges we face. 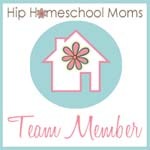 I don’t have to rework any of the suggestions to fit my life or the fact that I homeschool, because Tate knows what experiences you have as a homeschool mom and her guidance and plans take all of that into consideration. Flourish, Balance for Homeschool Moms is one of those books a mom (not just a homeschooling mom) will find value in and the need to keep close by to refer to often. 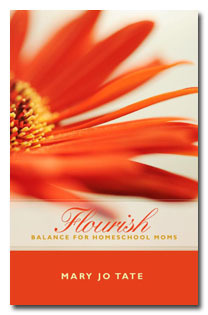 Flourish, Balance for Homeschool Moms by Mary Jo Tate is available from Apologia Educational Ministries for $15. 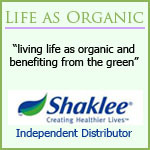 Learn more about Flourish, Balance for Homeschool Moms on Facebook and Twitter.